"4 Night - Accommodation, Transfers and Tours"
Transfers back to Uluru or to Alice Springs. NB: There is some variation to the itineraries and pricing between May-Sep inclusive depending on your days of travel as per below. Arrive in Uluru in the morning or early afternoon and catch the shuttle bus to the resort before beginning exploring Uluru Kata Tjuta National Park. 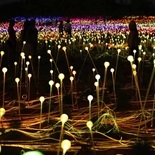 In the late afternoon you will be picked up from your hotel where you will visit the magnificent Field of Light art installation by international artist Bruce Munro. The Field of Light Star experience begins at remote desert location with majestic views of Uluru and from a raised viewing area you will watch as the last sun rays hit Uluru and as darkness gradually falls and the coloured lights of the glass spheres come to life you walk through the Field of Light. You are then welcomed back for sparkling wine and canapés whilst viewing the illuminated installation in the darkness. Departs: Daily 30 minutes prior to sunset from Ayers Rock Resort Returns: 2.5 hours approximately after sunset to Ayers Rock Resort . An early wake up to experience sunrise, breakfast and participate in a small group tour of the rock. You will join your guide on a trek around the base of Uluru as you explore the most profound and culturally significant monolith in Australia. Your guide will meet you at the entrance to your accommodation at Ayers Rock Resort. As you start your sunrise trek around the 14 kilometre base trail of Uluru you will embrace the culture, geology and environment that is the essence of this amazing monolith.Your guide will tell the cultural stories (Tjukurpa) of Liru (poisonous snake) and Kuniya (python), well as many other Aboriginal creation stories associated with this central Australian icon. Along the trail you will visit waterholes and the rock art sites of the ancients and learn of Uluru's cultural significance to the Anangu (local Aboriginal) people. You will absorb the majesty of this powerful place. NB: If you would prefer not walk the full base you can advise us on booking and we will amend this tour to a combined coach / walking sunrise tour. After the morning tour you will be returned to your accommodation where you can spend early to mid afternoon relaxing by the pool or spending time exploring the resort's cafe and shopping district. 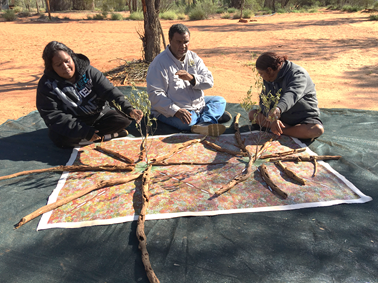 You could also participate in some of the free daily resort activities such as: Didgeridoo playing, Spear & Boomerang Throwing, Cultural dancing, perusing the Art Markets or enjoying Bush Yarns. Late afternoon you will be picked up and taken to the award winning Sounds of Silence Dinner. Capping off a great day you will sip on a glass of champagne with the sound of a lone didgeridoo filling the air as the sun slowly sets over Uluru. You will then be taken to a private dining setting in the middle of the desert for an unforgettable fine dining experience that includes a star talk. This morning you will revel in the early morning serenity of a truly spiritual place as the sunrise colours change on Kata Tjuta. You will travel through the landscape to the entrance of Uluru Kata Tjuta National Park. From there is it a 40km journey through the desert landscape to the mighty rock formation. On arrival at the viewing area you walk to the best vantage point to see the 36 domes that comprise this spiritual place while watching the sun’s morning glow as the desert comes alive. We make our way to the western side of Kata Tjuta where you will have the opportunity to relax and enjoy an outback picnic breakfast. As you approach the entrance to Walpa Gorge (named for the wind, Walpa, that whistles between the massive domes that shape Kata Tjuta, the result of eons of weathering and continual upheaval) your guide will share the significance of this men’s sacred ceremonial site. We take a stroll between these mighty conglomerate rock walls as your guide explains how the environment and the geology has evolved over millions of years. Back at the resort there is time to grab a quick bite for lunch before your afternoon transfer to Kings Canyon. Travel through the spectacular desert scenery by luxury coach, passing through Curtain Springs and viewing Mt Conner. Arriving at Kings Canyon before dusk, you'll have time to view the sunset behind Carmichaels Crag. Today you rise early to join your guide on the complete Kings Canyon rim walk. It is a 3-4hr guided climb to the rim of the Canyon where you will enjoy spectacular views. The walk is strenuous and best done in the morning and therefore the coolest part of the day. (Please note: The rim walk is spectacular however the climb up and down is very steep and rocky in places throughout so is only recommended subject to health and fitness). Alternatively you may wish to explore the canyon floor an easier shady walk that follows the trail between the two shear walls of the canyon. Near midday you will be transferred back to Uluru (or Alice Springs if you have selected that option). Travel back through sandhill country enjoying the commentry of your driver guide. Admire the desert scenery and look out for the wild camels that inhabit the area. You will return to Ayers Rock Resort (or your Alice Springs Accommodation) in time for dinner. Inclusions: Accommodation, Transfers, Breakfast, Kings Canyon Rim or alternatively the canyon floor walk. This morning you'll have time for a leisurely breakfast at the resort before you are transferred to the Airport. Transfers usually depart 2hrs prior to your fight time. For those with later flights you can consider another sunrise or morning tour, perhaps a camel ride or scenic flight - or just enjoy a relaxing morning around the resort. For those finishing their tour from Alice Springs, you will need to book a taxi from the hotel to the airport - the hotel staff will be happy to assist you with these arrangements. NB: Between May-Sep we are able to offer a special itinerary including a 45min Scenic Flight from Uluru to Kings Creek Station. The itinerary includes three consecutive nights at Uluru and the final night at Kings Canyon Resort. All touring as per above and in addition includes the Scenic Flight and Karrke Aboriginal Tour - a 1hr authentic cultural experience run by a local aboriginal family on route to Kings Canyon. Your final morning has you transfer from Kings back to Uluru Airport, arriving by 10.30am in time to meet late morning or afternoon flights. The special is valid for departures commencing every day except Sat when returning to Uluru. Travel commencing on Sat may have a slightly amended itinerary and price. 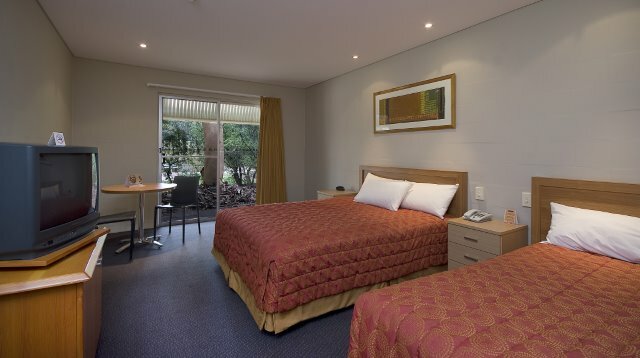 2-3 nights Ayers Rock Resort , 1 night Kings Canyon, 0-1 night Alice Springs in Choice of Accommodation (refer below) **Includes transfers to and from the airport (Uluru only). Package includes a 3 Day park entry pass for 2 Adults valued at $25 per adult. This tour includes an escorted walk through Kata Tjuta on the Walpa Gorge walk.. Understand the natural and cultural significance of Uluru on this small group base walking tour. Immerse yourself in this 1 hour Aboriginal Cultural Tour. Experience spear & boomerang displays, learn about bush tucker & medicine, learn Aboriginal language & purchase local arts & crafts. NB: The prices below are for currrent travel until 30th April, and include bus transfers to and from Uluru to Kings Canyon and do not include the Karrke Aboriginal Tour. Packages commence every day of the week. NB: The prices below are for travel after 1st May 2019 and your Kings Canyon Transfer includes a 45min Scenic Flight to Kings Creek Station & includes the Karrke Aboriginal Tour. Packages commence every day of the week (except Friday & Saturday).